Milan: Roberto Mancini got his first competitive win as Italy's journey back from the abyss of their World Cup qualifying failure began to take shape with a last-gasp 1-0 win over Poland in the Nations League. It was the first competitive win for the four-time world champions since a 1-0 victory over Albania in World Cup qualifiers on 9 October 2017. 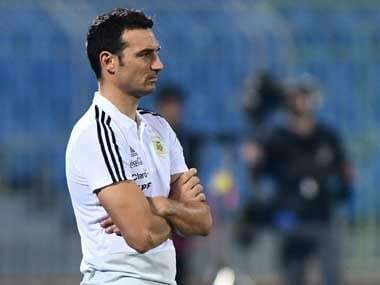 That was followed by the devastating failure to qualify for the World Cup for the first time in 60 years after a playoff defeat to Sweden at the San Siro in November last year. Italian football has been in turmoil ever since. Although Mancini took over last May, the Italian football federation is still to elect a new president. It was perhaps not surprising that Cristiano Biraghi's last-gasp winner in Chorzow on Sunday night was celebrated as if the national side had won the tournament. Despite Mancini's insistence that it would not be a drama if Italy lost the match, the League A Group 3 clash was a relegation playoff, with Poland dropping to League B. "The salvation of Italy and the turning point for Mancini," wrote La Repubblica, hailing the win as a "birth certificate for a new national side." Former Manchester City boss Mancini's only success since taking over five months ago was a 2-1 win in a friendly against Saudi Arabia before the World Cup. "A new cycle has already begun," said the 53-year-old former Italian international. "We'll go with pride to see the president of the republic," he added of Monday's meeting with Italian President Sergio Mattarella in Rome to mark the 120th anniversary of the Italian FA. 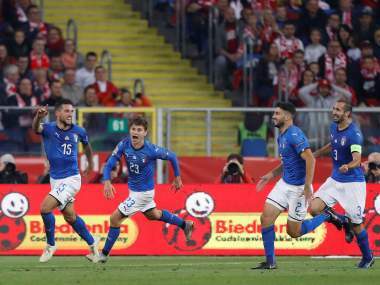 "All of Italian football will be there, it's important to go with a morale-boosting win like yesterday and for this we are proud," said Italian Olympic Committee (CONI) president Giovanni Malago. "I see a new generation of young Italians emerging. In recent years there has been a lack of foresight." 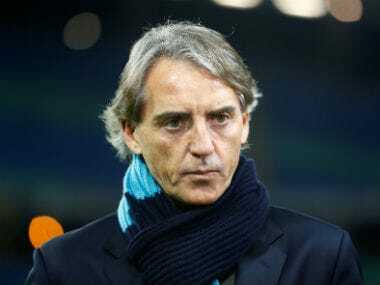 Mancini said a "new era has already begun", although he cautioned that "there are no magicians". 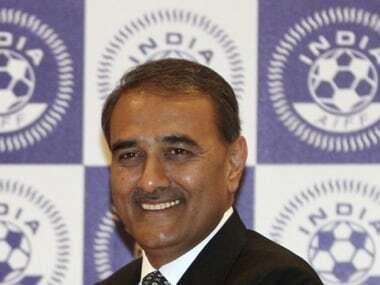 "We simply started working, getting to know the players. "I don't like to think that the worst has passed for us, because for us it has never got that bad. There was never any specific kind of problem." Italian coach Fabio Capello believes "Mancini's choices have borne fruit," as the national side can now aspire to finish top of their Nations League group ahead of European champions Portugal. 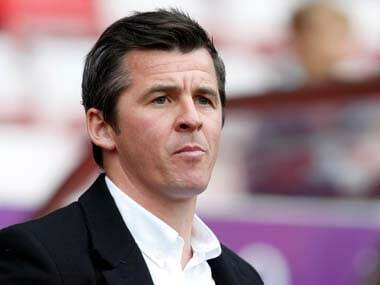 "The coach knows his players and tries to construct the match based on what he has," said the former England and Russia coach. Mancini stuck with the same eleven he started with in last Wednesday's 1-1 draw against Ukraine. He then opted to bring on Kevin Lasagna for his international debut in the second half over Lazio ace Ciro Immobile, and the 26-year-old, who plays for Serie B side Carpi, set up Biraghi for the winner. Nicolo Barella, 21, was also chosen to start over Lorenzo Pellegrini in midfield after making his international debut in Genoa. Fiorentina defender Biraghi was playing just his third game for Italy after earning his first call-up last month at the age of 26. "Last night Mancini's choice was a winner," said Capello. "(Barella) is a player who gives a change of pace in midfield, he gives something more, in terms of quality and quantity, that we were lacking before." The result ensures Italy stayed in the top tier ahead of December's draw for Euro 2020 qualifying, and can still win their Nations League group. It also gives the Azzurri a boost as they prepare to host Portugal in the San Siro on 17 November — just over a year after they lost their World Cup playoff to Sweden at the same stadium. Portugal have six points from two games, with Italy on four points after three games with Poland relegated to League B with one point. Portugal then host Poland three days later.